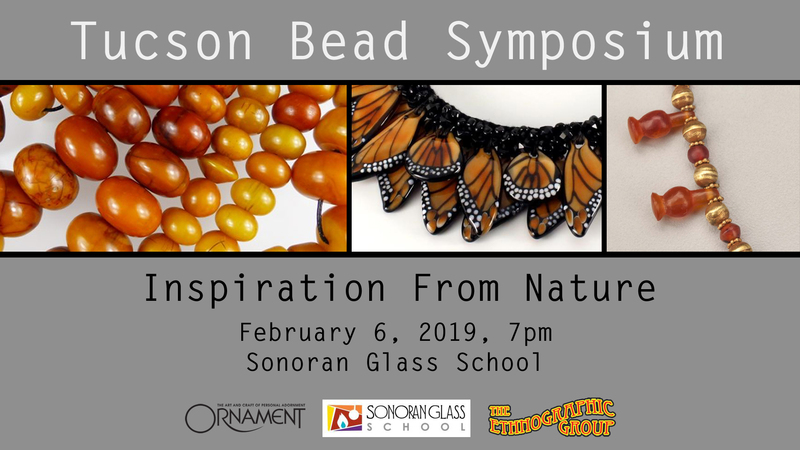 Ornament Magazine, the Ethnographic Group, and Sonoran Glass School present the 2019 Tucson Bead Symposium featuring presentations from speakers and experts on bead topics and history. 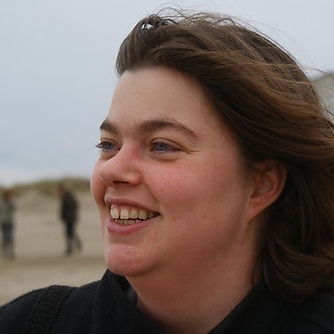 The evening is hosted by glass artist Floor Kaspers. 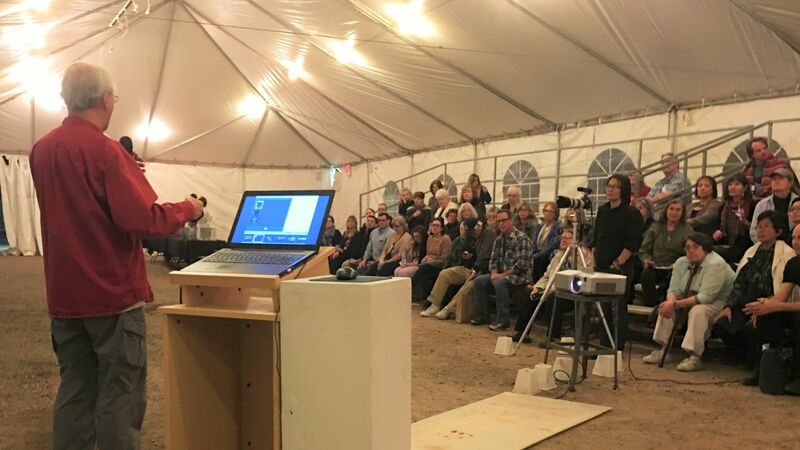 David Ebbinghouse is an art enthusiast and researcher and an artist/designer working in many mediums, from collecting and designing with ancient beads to contemporary performance art. Interview with Robert K. Liu, Co-editor of Ornament magazine, jeweler, photographer, bead researcher and author. Margaret Zinser Hunt creates flameworked beads and pendants inspired by her love of the insect world.